There's trouble aboard the Small 2 Mid-Size Enterprise! Fill out the form to view our fun cartoon where Aventis Systems comes to the rescue with custom IT solutions! Are you a trekkie in need of a quick mental break? If so, you’ll love our 2-minute cartoon where the Small 2 Mid-Size Enterprise experiences technical difficulties and must decide if they should rip and replace, settle for a generic solution, use trial-and-error to determine what they need, or work with Aventis Systems for a custom, hands-on solution. 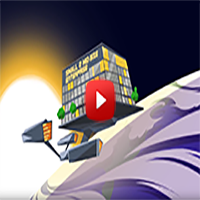 Watch as Aventis Systems rescues the Small 2 Mid-Size Enterprise from their system failure. Take a 2-minute break, and watch the cartoon now!